Now the diminutive Tiger Roll has his own place in sporting folklore after emulating ‘Rummy’ with a second triumph in the world’s most famous race. That’s neat, that Tiger feat. 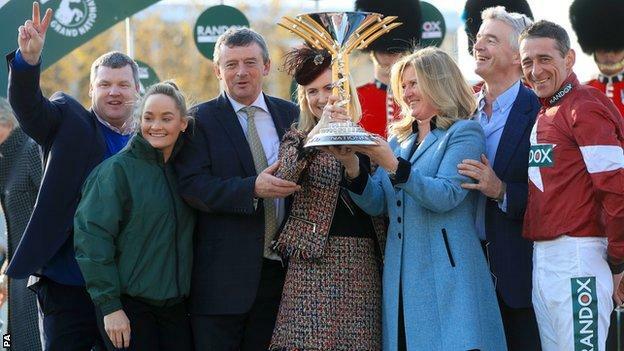 Jockey Davy Russell calls racing’s latest little legend “a rock star”, and this remarkable triumph at Aintree for Irish trainer Gordon Elliott will be another victory that is talked about for decades. And a 70,000 crowd at the Merseyside track – never mind an estimated 500 million people who follow the contest worldwide – basked in the occasion. This was one of sport’s “I was there” moments. 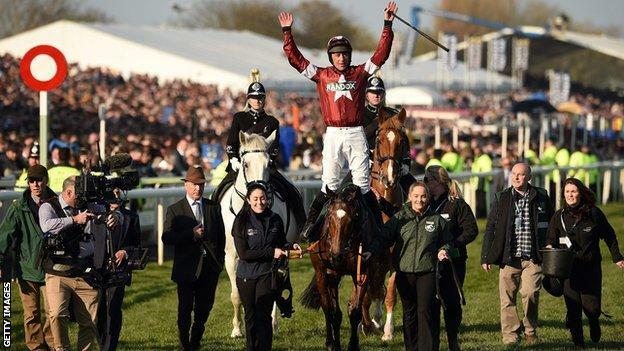 As Tiger Roll – who travelled so sweetly, bar a couple of jumping hiccups, through this marathon test – was brought back to an ecstatic winner’s enclosure, crowds 15 or 20 deep gathered to see the celebrations. Three cheers went up for the horse. Elliott cried tears of joy, Russell could not wait to talk through the triumph with his kids, and owner Michael O’Leary was in shock. “Everyone loves him. He is the people’s horse. I cannot believe it,” said Elliott, a trainer with no big family background in racing, who has masterfully guided the winner’s career. Finishers and fallers – where did your horse finish? It was a joint record third win – all in the last four years – for Tiger Roll’s owners Gigginstown House Stud, which is headed by Michael O’Leary and his brother Eddie. Their first victory came with Rule The World in 2016. He has won four times at the Cheltenham Festival – in the Triumph Hurdle, National Hunt Chase and Cross Country Chase (twice). Tiger Roll’s dam (mum) was Swiss Roll, a horse trained by Tommy Stack – the man who rode Red Rum to his historic third National victory. Davy Russell’s four children followed the triumph from home, including his three-year-old son Finn, who is “obsessed” with Tiger Roll. “He thinks this is so easy, because he’s watched two Grand Nationals in his life and I’ve won both of them on Tiger Roll,” said the 39-year-old rider. “In Ireland, people who have never seen a horse in their life know Tiger Roll,” said Russell. “The people adore him – he’s not a big, fine, good-looking horse, but at home people walk past his stable and say hello to him as if he’s a human being. It’s just unreal. Whether at home in Ireland or ‘away’ in England, he is a fierce competitor who saddled a record 11 runners in this year’s Grand National, one more than his mentor Pipe ran in 2001. “If any of the 11 horses had won, it would have been great, but Tiger is a bit special,” said the man from Summerhill in County Meath. “The stats were against him, and we were hoping and wishing and praying he could win, but I thought it was probably impossible. He suggested Tiger Roll should be next in line to be honoured at O’Leary’s house in Westmeath, where the airline boss already has statues of his Cheltenham Gold Cup winners War Of Attrition and Don Cossack. O’Leary cuts a different figure at racecourses to the character some might see as brash when talking about his budget airline Ryanair. “It really feels like an out-of-body experience,” he said afterwards, insisting this was a “great day” rather than Groundhog Day. “Eddie my brother buys these horses and you look across the record he has over the last 10 years – we’ve won two Gold Cups, three Grand Nationals, four Irish Grand Nationals. “My brother is a genius, the clever one in the family at identifying these horses. All I have to do is write the cheques, which is straightforward. Eddie is delivering incredible success. Famed for his parsimony in business – he once threatened to charge passengers for using the toilets on his planes – he was ready to push the boat out after Saturday’s triumph. “The Ryanair flight home last year ran 30 minutes late and there was a free bar on board – it will probably run another 30 minutes late again today and there will be another free bar on board,” he said. When the trainer was asked to sum up his stable star in the immediate aftermath, Elliott was almost overcome, shook his head and just said “Tiger”. 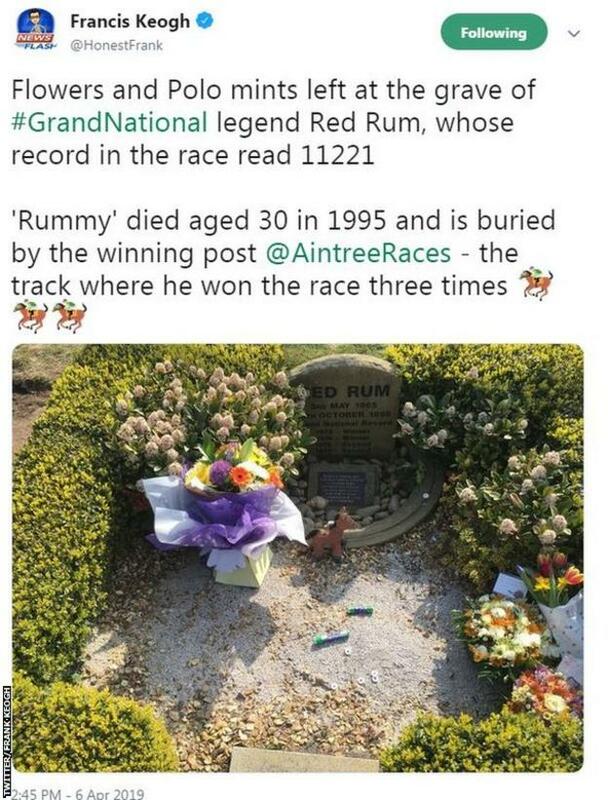 That was Roar by Katy Perry and the video was widely shared on social media – a tribute to racing’s own superstar. Rock ‘n’ Roll.